Just when you thought the final chapter of the Sailor Moon Groove Inc franchise was over, Groove Inc makes a shocking announcement. 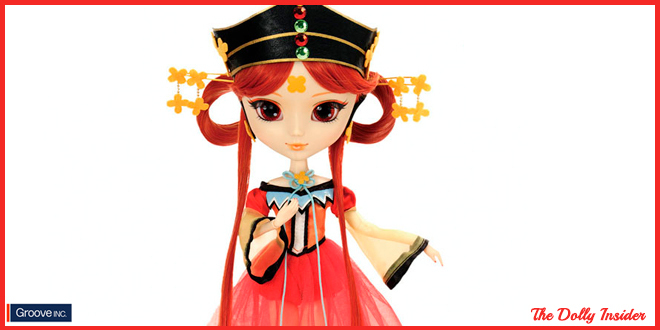 The 27th Sailor Moon character to be Pullip-cized is the beautiful ruler of Kinmoku, Pullip Princess Kakyu! Her red hair is eye catching. 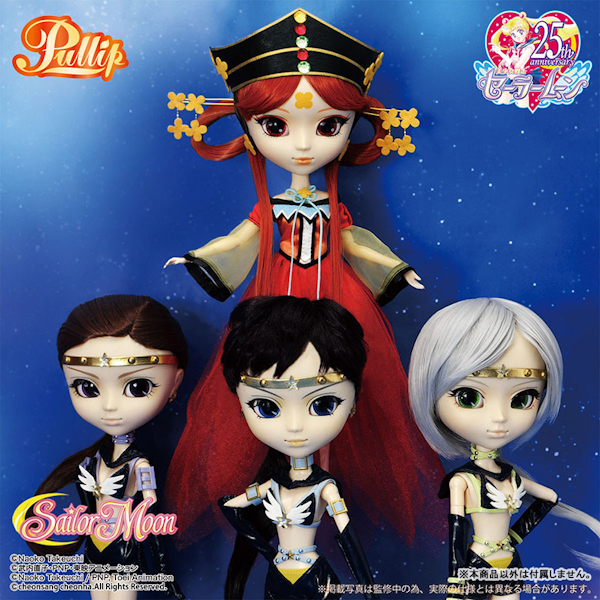 Like previous Sailor Moon Pullips, there is a Premium Bandai version. If you order the Premium Bandai version you will receive a poster. Are you surprise by this latest announcement and do you have plans on adding her to your crew? 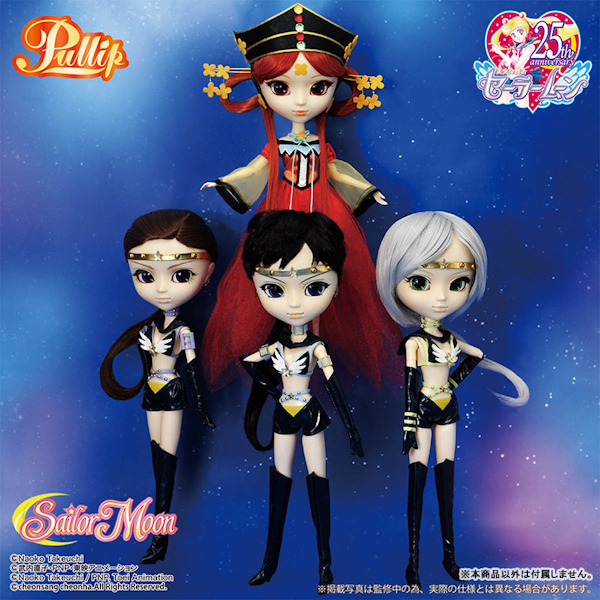 How many Sailor Moon dolls do think we will see? And in what year do you think this collaboration will be complete? How exciting! Just when I think they’re moving on from Sailor Moon, they go and release more! I know right, it’s so funny how Groove Inc likes toying with fans over the Sailor Moon announcements. Groove Inc reminds me of a magician preforming the never ending handkerchief trick. Thanks for leaving a comment on Pullip Princess Kakyu. 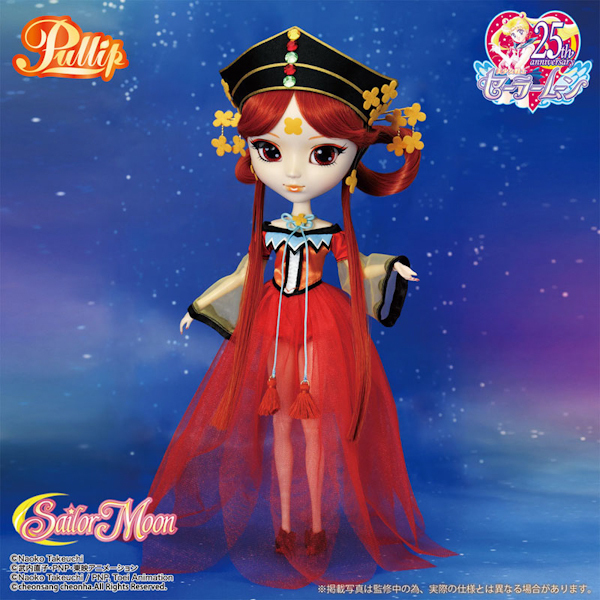 Oh my God, another Sailor Moon doll. I don’t know if it is a good thing or a bad thing. I mean, I’m a huge fan of the series and I love dolls, so that’s a match made in heaven and the way Groove is portraying the characters in doll form is extraordinary. But on the other hand, I’m also wondering how many more characters is Groove planning? The Anniversary Project is still ongoing and the Sailor Moon series has tons of characters, so there’s plenty of time and lots of material to work with. 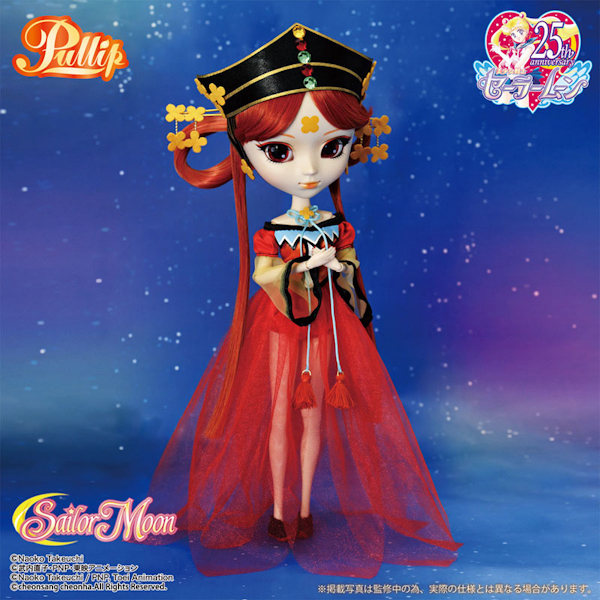 Whoa, congrats on ordering your 27th Sailor Moon Pullip! 4 years ago, did you ever imagine your collection would’ve grown into a stunning display of Pullip Sailor Moon dolls? Oh that’s right they should be heading to you soon. As always thanks for chatting with us!